Tree Top Golf Course is a soft spike facility. 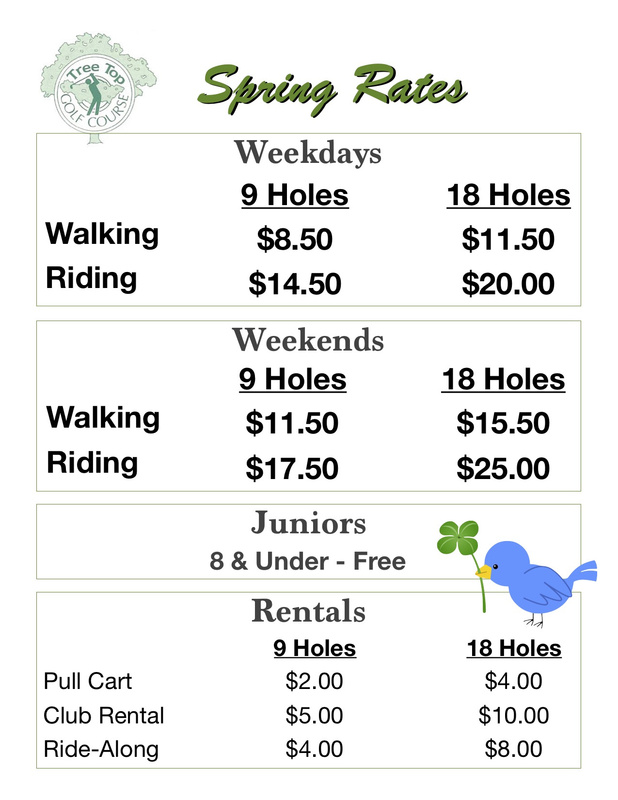 Maximum 2 golfers & 2 Bags per cart. This is a family friendly facility - no profanity, please. No littering, please recycle bottles and cans. No Glass Bottles or Hard Liquor permitted at any time.